Gods of Egypt is a mess. You can look at the myriad of reviews trashing it and see it for yourself. Heck, you can look at the trailer — or its box office receipts — to see how much of a joke it is. Have you seen such bad CGI in the modern era? But even more insidious than the CGI is that the film went out of its way to cast white actors in an ancient Egypt-set story. This is the second film within two years that showed audiences a white Egypt. You might recall how spectacularly Exodus: Gods and Kings failed. Technically, Gods of Egypt had all of the ingredients necessary to make a fun “swords and sandals” fantasy. It’s a fantasy that’s not just set in ancient Egypt, but involves gods and goddesses interacting with their human subjects. Who wouldn’t want to see Ra and Horus get into it on the big screen? But where the film’s team went wrong is that they treated it like a “traditional” fantasy. What’s a traditional fantasy, and why was that the wrong approach? Let’s find out. Fantasy has routinely been used (wrongly I’d say) as the one genre where white privilege and white supremacy go unchecked. Anything that doesn’t fit into that narrative either gets whitewashed or suppressed. Wikipedia does go further and state that fantasy “comprises works by many writers, artists, filmmakers, and musicians from ancient myths and legends to many recent and popular works.” But for the most part, fantasy has been thought of as a way to recreate and relive the glory days of medieval Europe, specifically medieval England. Even more specifically, fantasy has been given the literary “white flight” treatment; it’s been segregated from other genres in order to “preserve” the genre’s tradition of prevailing whiteness. There’s also a tendency for some fantasy lovers to defend the whiteness of fantasy to the death, a tendency that speaks volumes to wanting to preserve a world of white escapism. The Middle Ages is a space where white supremacy is legitimized. The maintenance of white privilege. The gamer community uses ‘historical facts’ to legitimize this kind of literacy… [M]edievally-themed video games are a space where whiteness can be anchored, in a ‘happy history’ where a world is free of multiculturalism and white guilt. Non-white individuals have lived in Europe (and, frankly, all over the world) during any era, including the medieval era. Visit MedievalPOC to see just how involved people of color were in the times before the modern era. There aren’t many areas in the world that haven’t been touched in some way by non-white involvement. If The Hobbit wanted to attract today’s audience (and walk back accusations of discriminating against actors who wanted to play Hobbits), they needed to add people of all races to the film series. All races watch the fantasy films, so why not put them in the movies? …I was talking about Game of Thrones and how the few black people that they cast in that show, they made some of them slave-owners, and I thought that was a gross misrepresentation. 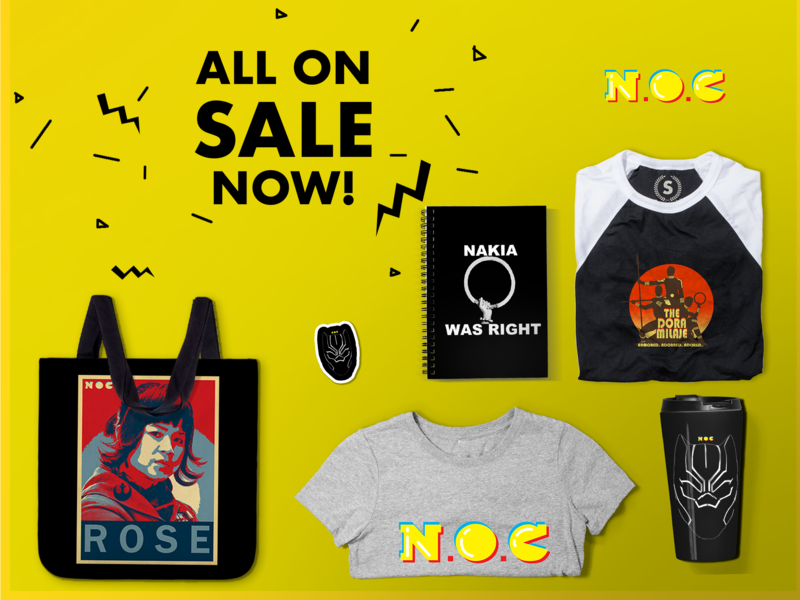 I made a snarky comment about that and someone was like, ‘The historical period that it depicts, there weren’t many black people,’ and I was like, ‘What?’… [I]t’s a work of fantasy that takes place in a fictional realm. Westeros is not the earth, so there’s no need to be historically accurate. Second, there’s never been a time when black people did not exist. There’s never been a time when black people weren’t present! They were in medieval Europe. In most times in European history, black people were there. The ferocity to which people will protect the validity of fantasy as we know it is limiting, since it not only reduces the amount of POC we see in fantasy literature, film, and TV, but it also removes validity from other stories — particularly stories centered around people of color — because, if we go by a white supremacist viewpoint, those stories aren’t “important” enough. If we do see characters who aren’t white in fantasy, they’re usually in a subservient or evil role, such as the people of the south in the Lord of the Rings books and films, or Khaleesi’s subjects and servants in Game of Thrones. Or, in most other cases, the lack of addressing the humanity of people of color leads creators to inject white characters in POC roles. Prime example: Gods of Egypt. The gods and goddesses have always been drawn in the ancient Egyptians’ own image. Yet, because of laziness and selfishness, a nearly all-white cast was chosen. It was too much work to find Egyptians (or people of color period, since Hollywood hardly ever casts correctly) to play these roles, unless you’re playing the goddess of love and beauty. Then, of course, cast a woman of color so she can fulfill racist, sexist stereotypes of the exotic, hypersexual siren. Other examples of laziness and appropriation include Hawkman and Vandal Savage on The CW’s Legends of Tomorrow. In DC Comics’ original 1940 Hawkman story, Carter Hall finds out he’s the reincarnation of Khufu, a prince of ancient Egypt. Hawkgirl is the reincarnation of his bride. The move to have a white man tell the story of an African prince is seen as “respectable,” especially for the time Hawkman was created. Conventional wisdom would have people believe that no one would want to read a story about an Egyptian prince. It also shows that no one sought to actually do proper research on Egypt outside of stereotypes that Hollywood had already immersed itself in thanks to whitewashed Cleopatra films. The reality of Egypt is never taken into account; the only thing of interest are the cool cultural things — hieroglyphs, creature gods, etc. — that can be mined for selfish benefit. Some movement has been made to rectify some of the glaring racial oversight of the Hawkman story; even though Hall himself has always been portrayed as white, most recently by German-born actor Falk Hentschel. For instance, Hawkgirl has been voiced by Maria Canals-Barrera in the animated Justice League series and is currently played by Ciara Renée in the CW series. Vandal Savage is an immortal caveman (a caveman who is originally coded as white, since he was created in the 1940s as well) who becomes known throughout history as Cheops, the architect of the pyramids, ancient Egyptian pharaoh Kafre, and the Mongolian leader Genghis Khan, to name a few. This appropriation is even more dangerous than Hawkman, because the appropriation is of entire histories and it sets up the idea that a white man has to always be the leader of any civilization. It’s only been in recent years that Vandal Savage has been portrayed as an ambiguous person of color, with Phil Morris voicing a decidedly darker (and more African-looking) Vandal Savage in the animated feature Justice League: Doom and the ambiguously beige — but still European — actor Casper Crump playing him on Arrow and Legends of Tomorrow. One of the underlying tones of fantasy is that civilization can only exist with white people at the center. All other civilizations aren’t treated on the same level. That tone is supported by the whitewashing of conventional world history. The irony shouldn’t be lost that Champollion-Figeac said that intelligent, self-sufficient, powerful black civilizations were a fantasy. Too many fantasy stories (and many of its fans) routinely reflect this sentiment; why else would there be so many people arguing for “historical accuracy” in Game of Thrones or The Hobbit, when neither of these worlds exist in the first place? Why else do you have some believing in conspiracy theories that state that ancient Egypt was founded by aliens? Why else would make-believe be treated as more real than the actual reality of ancient Egypt? And why else would white actors be thought of to play in a non-white story? Because “traditional” fantasy has been used, consciously or unconsciously, to deny rights to others and to uphold racist views that have been accepted as fact in our society. Apparently, it just wasn’t “historically accurate” to have Africans be the masters of their own destiny. I appreciate the analysis. I do think some of this is marketing for American audiences, though Hollywood should surely be taking note of the success of multiracial casts in movies like Furious 7. Gods and Kings, I mean Gods of Egypt is drek. Sorry Chadwick Boseman, even your tokasting can’t saVe that picture. ugh! Well written. So true. Game of Thrones. Though I love to watch and I relate to so many has a lot of racist undertone in it. The actor that plays Hazdhar Zo Loraq though he is of mixed heritage and he was going to wed Khaleesi. His family had many slaves. He died at the tournament last season though. Hopefully Hollywood will get the picture and stop making these movies with white actors and start using black actors in roles of Egyptians. Another argument I’ve seen, that is not finding traction with me, is the argument about how Chinese films feature all Chinese people, and Korean films feature no black people either. Which, again is a false argument because Chinese people are not making movies about ancient Egypt, with an all Chinese cast. (Koreans are making Westerns, but these are westerns set in their own culture.) Only Hollywood seems to be mining everyone else’s histories and then casting them as being all white or led by white men. And again, GoT and The Hobbit are fantasy worlds, is a good rebuttal. I agree! And even then, I have seen some Chinese and Korean dramas which have white actors portraying white characters. Even historical Asian dramas can take note that there was Westernization in their history and find the appropriate actors to fill those roles. That can’t always be said for some films in Hollywood which don’t acknowledge POC in various eras and don’t cast the right people for the right roles. I don’t agree with this. China isn’t as ethnically homogenous as many people perceive it. There are plenty of (non Han-Chinese) minorities: Tibetans, Ethnic Koreans, Mongolians, Manchu, Uyghurs… I don’t know much about Chinese popular culture, but I suspect they may have many of the same issues surrounding representation as the US: leading roles being dominated by Han Chinese, minorities either being rendered invisible, or stereotyped or exoticised. These minority issues aren’t visible from a Western perspective because “they all look the same” to us (at least to me, maybe other readers are more knowledgeable). This is really great thank you. I loved me some of The Night’s Commander –Jon Snow (he’s dead/) and I loved the Samoan, Jason Momoa played “King” Khal Drogo (he Is dead.) and I for obvious reasons I relate to Tyrion Lannister as an “Other” even though he is technically, white (he is an outcast because he is a dwarf). I see they killed off the guy from “Zoo” Nonso Anozie (Nigerian) and they killed off Prince Oberyn Martell but Alexander Siddig is still on there and the chick who plays Ellaria Sand (Indira Varma, is an Anglo-Indian actress). I always complain about how GoT despite being a fantasy shows PoCs in subservient roles, particularly the Blacks e.g. Greyworm and the Khleesi’s even wiser and hotter hand maiden, Missandei. 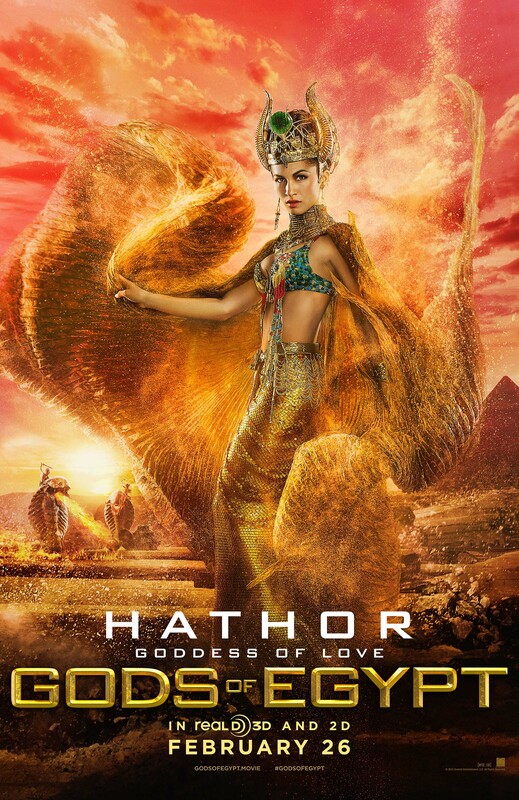 I noticed the Française Cambodienne, Elodie Yung plays Hathor, the exotic siren Goddess of Ancient Egypt, who personified the principles of joy, feminine love, and motherhood, and who—on the silver screen– also drips hypersexuality based on costumery and dialogue and overall allure. I wouldn’t be caught dead paying to see GoE to make a *point. I may check it out when it hits cable just to study what I perceive as stupid depictions of PoCs and the ludicrous casting of whites playing PoC. *This movie season I did not see: Carol, Concussion, Creed, Brooklyn, The Big Short or Spotlight for various reasons. I am sorry I missed Creed, I wanted to support Ryan Coogler and Michael B. Jordan. GOT is supposed to be based on War of the Roses, a lot of real life allegories the Dornish are supposed to be based on Spain, Palestine, Wales while the Dothraki are based on the Mongols. About Vandal Savage I thought the actor was spot on appearance wise, the Cro Magnon man had darker features and a more olive skin tone, I think race wise any actor of any ethnicity can play him. I don’t really see how God’s of Egypt is any different from films like Thor, which also appropriate the mythology of an ancient culture (in that case Scandinavian mythology) and Americanize it, both with respect to content and to casting. I think that we should stop pretending these kind of films are “authentic” or “realistic” in any meaningful way, and stop using arguments of authenticity or realism either to criticize or defend casting decisions. These are entertainment films made for a modern American audience, its reasonable to expect them to have a cast which reflects the diversity of modern America, regardless of the original culture that these films mine for content. Well…I googled “Gods of Egypt racist”, because (after seeing it) I was so disgusted with the casting and wondered if other people had thought the same (I don’t keep up with media news). While I was glad to see your article and to know I wasn’t the only person to feel this way, I do have a few (minor) points of contention with some other parts of your article. Firstly, I really don’t have a problem with a lack of people of color in the Lord of the Rings film, for one simple reason: there weren’t any in the original books. I realize that they ~could~ add people of color, but I much prefer that movies adapted from books remain as true to the original as possible. The other point is really a continuation of the first comment, in that your references to historical accuracy of the race of characters is two sided in regards to placing people of color in roles. For example, you mention the absurdity of white men playing roles of characters who we know historically to have been people of color, but later in the article you want people of color to be represented in roles that were not “historically” depicted as people of color. That seems a little hypocritical in my opinion. I guess what I am saying is, YES–I want people of color to be depicted BY people of color when that is the accurate historical depiction OR the fiction author’s original literary depiction, BUT I don’t agree with the new trend of adding people of color to films where people of color were not originally depicted. Or, to put it more simply– I would like to see authenticity in casting.